Yes, you heard that right. You can access your computer’s hard drive with your smartphone in few simple steps. For this, you don’t have to download or install any big software on your PC or smartphone. 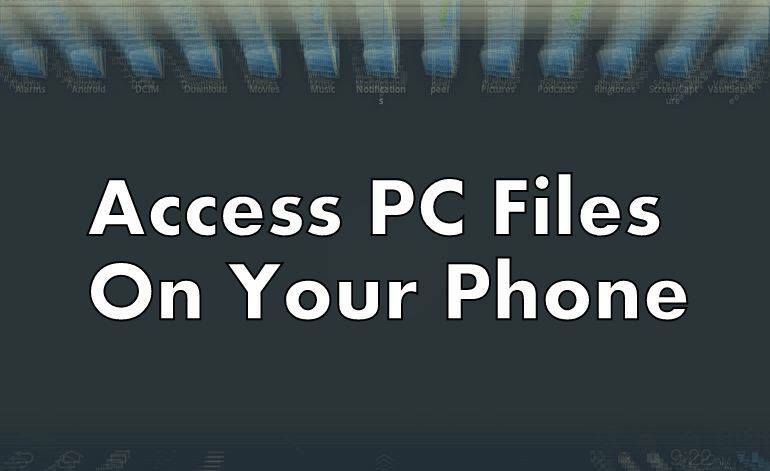 Your Android’s file explorer can do the task easily. To make this trick work, you should be connected to same network (Wi-Fi). Step 1: Right click on the drive you want to share. Use the below-mentioned path to share this folder. You will see an icon appeared which mean the drive is shared. Properties> Sharing> Advance sharing>share this folder. Step 3: Now perform a scan and you will see your PC if it’s connected to the same network. Now enter the username and password of your PC. There you will see the shared folder. Step 4: Here you will all the items in your computer’s drive. You can tap and hold to copy or cut any folder to your smartphone. I performed copy action and achieved nearly 5 Mbps speed. Did you find this tutorial helpful? let us know in comments below.